Flaunt your penchant for all things elegant with this pretty bangle set. 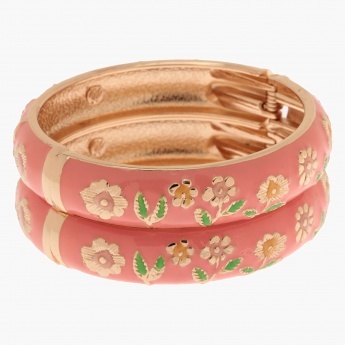 It features a pastel shade accented with floral embellishments. 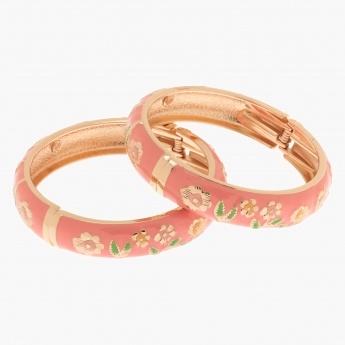 In a set of two, it adds a stunning accent to your outfit.